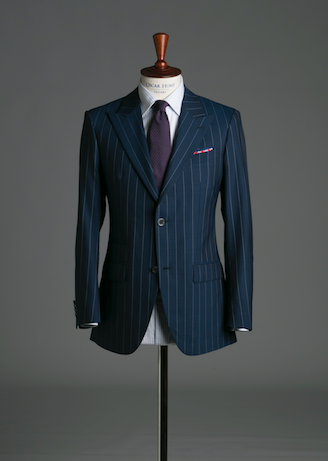 Pinstripes are known as the power suit for the office or work place, but it doesn’t always have to be navy or charcoal. This lighter shade of blue will bring your suit alive during the warmer months and dulling down the colour of the tie and pocket square will keep it the hero. Cotton/linen mix shirts are also great for work or formal related events. 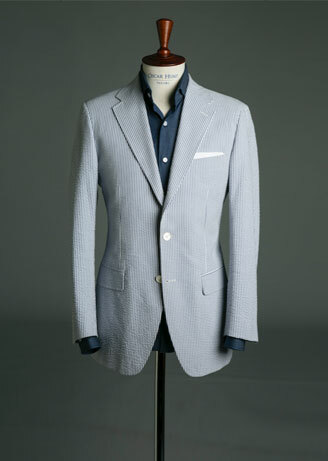 Seersucker sports jackets are great for summer and none more traditional than this blue and white stripe. Styled here with a denim shirt, it creates a beautiful contrast of colour and a versatile look. Wear to relaxed weekends away during summer or at a bbq. Keep it smart with suede derbies, loafers or stay more relaxed with boat shoes and sneakers. Most would steer clear of a double-breasted suit or jacket during the hotter seasons but there is a way to keep it in rotation all year round. Lining, half lining or taking the lining out altogether will help keep you cool during the heat. 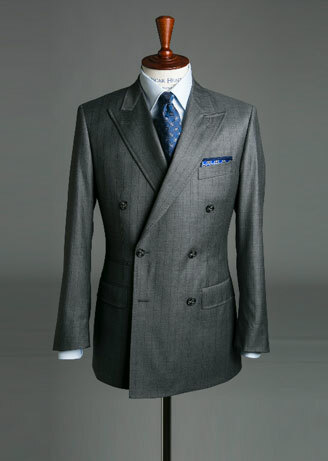 The light grey pinstripe is also a great alternative to the darker winter charcoal pinstripe. Following on from wearing double-breasted suits/jackets in summer, fabric is another key option to keep you cool. This tan double-breasted seersucker suit ticks all the boxes during spring/summer. Styled smart-casual with a shirt and tie, it is best styled with contrasting colours against the tan/khaki colour in the pattern. The military wore it best as it retains less heat. Khaki suits, jacket and pants have deep traditions during spring/summer; being versatile with most wardrobe basics. Worn here in a more relaxed way with a white opened shirt, blues will also work equally well. Smarten up the look with a solid coloured tie or keep a casual edge with a knitted tie.